Knee pain, on the whole, is a very common condition and frequent problem presenting to general practitioners. The overall prevalence of Hiking knee pain in the population as of 2009 is approximately 19%. The incidence increases steadily with age says myVMC. Because there are different ways to solve this challenge which also includes knee bracing. Below, in today post, I will be showing you what you need to know about knee pain and methods to manage it or avoid it including knee bracing. Knee Bracing: What is a knee brace for? While you may have already known what it is, it wouldn’t hurt to reiterate it again. According to HealthLine, knee pain is swelling. or sensitivity in one or both knees. There are basically two types of knee pain. Temporary and chronic knee pain. From the term alone, you could tell the difference. But the point to note is that chronic knee pain according to HealthLine is not only caused by an infection added to existing temporary knee pain but also includes overuse of knee and lack of proper treatment. Technically, chronic knee pain is not something you should worry about as long as you are taking good care of your knee by following your doctor’s advice. Your knee, taking a good look at it, has three bones; your thigh bone which runs down from your waist and the calf bones (which consist of two bones coming up from your toe) and kneecap. This post also explains the science of hiking a bit. 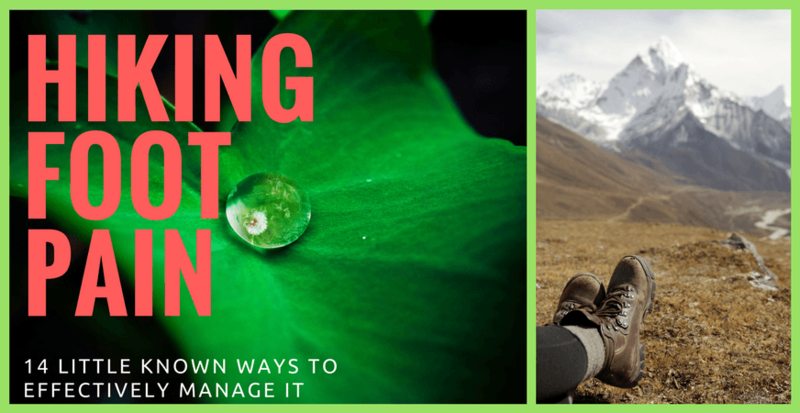 Bonus: Get the PDF version of this post with all the links, resources, you can use to avoid and/or manage knee pain when hiking. These bones including other substances like ligaments and tendons play an adamant role in ensuring your stability while hiking. The moment there are complications, you begin to find it difficult to minimize stress when hiking. You begin to feel pain. And the moment the pain and itchy feeling comes up, you get frustrated hiking. A thing of joy suddenly becomes a thing of sadness and distress. Now, from what we already know about knee pain, you can simply say that hiking knee pain is the pain you get when hiking, probably because you hike more extensively than what an average hiker does or that there were mishaps when you were hiking uphill or downhill. Most times we really don’t know if we have knee pain not until we start hiking downhill. Though you might be blaming yourself for not taking good care of your body, that, won’t solve anything. Now, you might be asking why you did not notice this pain earlier? what is the science behind you feeling knee pain when hiking downhill? Don’t worry, am here for you. 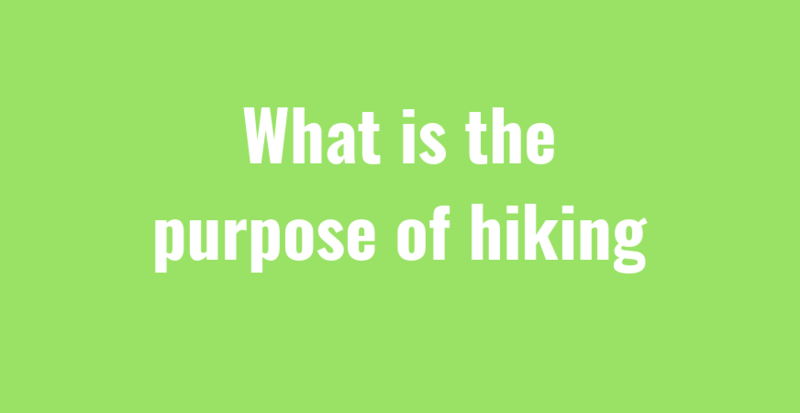 According to Cam Honan of hikinglife, when hiking downhill, gravity acts on you in such a way that you start descending downward fast, your body weight, pack weight, and gravity put a lot of pressure on your knees. As a result, your knee begins to take on more weight than it can bear. Suddenly, there is a little tear here and wear there, then the pain comes in. Hiking downhill has twists to it. It has a potential of causing more damage to your to your joints and muscles. 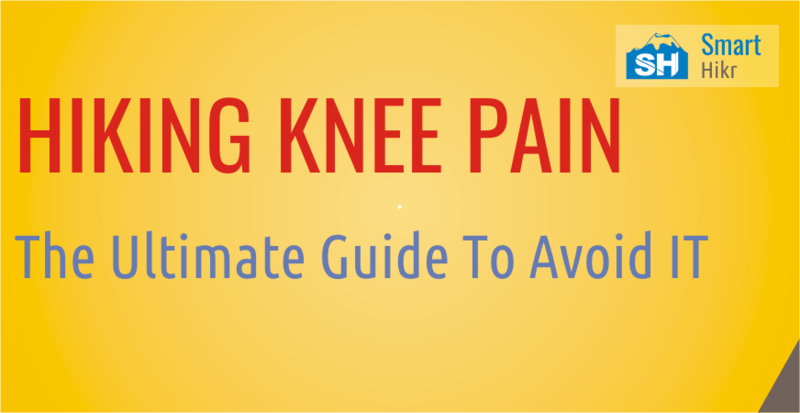 Before going any further, it becomes imperative that you know the different causes of knee pain. 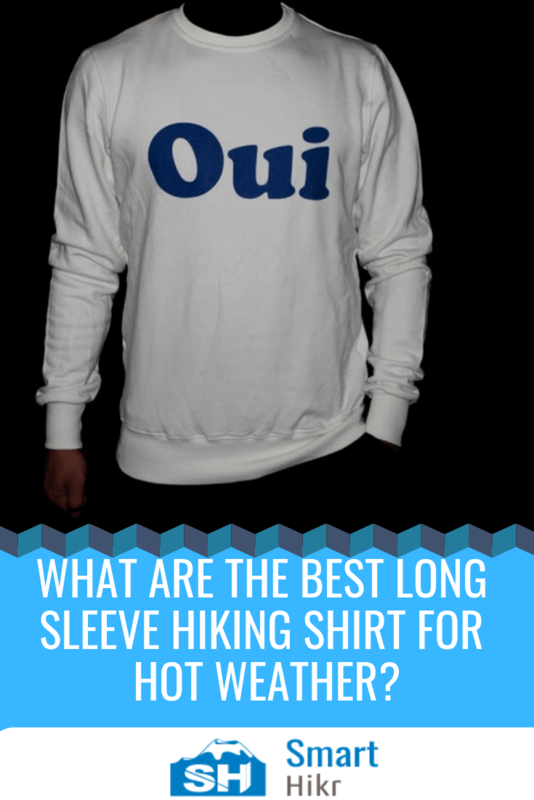 Because knowing this will determine what measure to take to manage it for your hike. Knee injuries and problems according to WebMD are often caused by sports or recreational activities, work-related tasks, or home projects. In our case, it could be hiking. It really isn’t your fault. Everybody enjoy outdoor activities especially hiking. The causes of knee pain are grouped into two categories. Temporary or acute knee pain and chronic knee pain. Of these two, you must be able to identify one that relates to you so you can know the best cause of action to take. That is, whether to do a surgical intervention that you talked about with your doctor or to engage in physical therapy and knee bracing. You can check this list of hiking tips to keep safe. Broken bones – caused by traumatic injuries with signs of swelling that are always painful. A cast or surgery may be required to repair it. Sprained and torn collateral ligaments – The general way for you to notice if this is the cause of your knee pain is to check your knee if there is a tearing sensation. You can immediately ice and exercise to treat it. Sprained and torn cruciate ligaments – This one is caused by the twist of the knee. e.g falling when hiking downhill. Surgical repairs and knee bracing can prove sufficient. Tendon ruptures – You can feel it when trying to extend your knee. Surgical repair is required. Meniscal injuries – This injury is caused because of overuse. Arthroscopic surgical repair is required. Knee dislocation – In a case where there is no blood flow because of no treatment, amputation may be required because it damages arteries and nerves. It requires a doctor’s full attention. Dislocated kneecap – This one is common. It caused by the forceful straightening of the leg. These pains are long term as opposed to acute knee pain. They are inflammatory in nature. Osteoarthritis – This happens when your thigh bones make rough contact with your calf bones as a result of the eating away of the cartilage that is supposed to separate and cushion them. It becomes very painful when you are engaged in any activity. 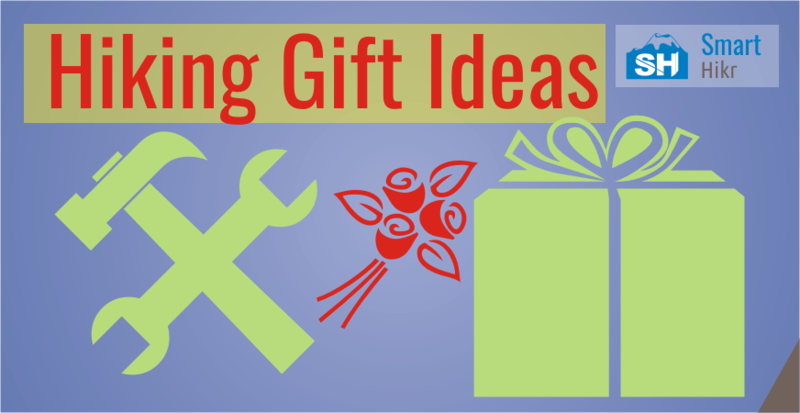 Pain relievers, anti-inflammatory medications including knee bracing can be helpful. Rheumatoid arthritis – This disease is hereditary. It affects the whole body, therefore, it causes pain in other joints other than the knees. See your doctor for help. Crystalline arthritis (gout and pseudogout) – it’s almost similar to rheumatoid arthritis. The difference is, crystals are formed other joints including the knee. Bursitis – This is caused by the inflammation of the bursae as a result of trauma and happens mainly to people who do work on their knees. NSAIDs and PRICE therapy is the treatment required. Infectious arthritis – STDs are the cause of this kind of knee pain. It could be possible you have it when you are feeling feverish and get chills in addition to painful knee inflammation. See your doctor for tests. Chondromalacia patella – caused when your kneecap rubs against your femur, that is pronation. It happens a lot to young women. Jumper’s knee – Also known as the inflammation of the tendons. The tendons glue your muscles to the bone. It affects the people most involved in jumping sports. Iliotibial band syndrome – well! This one is for runners not hikers exactly. except you are a runner-hiker. Osgood-Schlatter – this happens mostly in children. If you hike with your child, I think you should pay attention to their health. Let them explain to you what they are feeling. This kind of knee pain is caused by the swelling of the bone itself and it’s also linked to puberty during growth spurts. Finally! The hard part is over. Now, let’s talk about what you can do about all these causes of knee pain a little bit more. According to Wikipedia, surgical intervention is a technology consisting on a physical intervention on tissues. As a general rule, a procedure is considered surgical when it involves cutting of a patient’s tissues or closure of a previously sustained wound. This option is taken when other prescribed treatments are not working. But it’s not limited to that. At times, surgery can be done when there’s a mechanical problem. Note: Surgery for knee pain are of different types. Your doctor could also prescribe physical therapy even after surgery because PT heavily includes exercises and stretches, ice and heat, ultrasound massage and muscles stimulation to help get your strength back and put you on a road to recovery. PT requires a licensed professional to prescribe and oversee everything. WebMD says that there are drugs for knee pain. While this may sound good, doesn’t mean they are without side effects. Some of these medications have different modes of use (oral, injection). Therefore, you should strictly follow your doctor’s advice. Now, let’s get into what we really came here for, “knee bracing for hiking”. There is no way I would have just jumped into this, without explaining some concept first. Though, I have never braced my knee before (though I had knee pain for some period of time), my advice here will be based on what other people have done and how they did it for a painless hike. According to FamilyDoctor, knee braces are supports that you wear for an injured knee and at other times you can wear them to prevent knee injury. Different knee problems require different knee braces. Assuming you don’t want to have knee pain and you intend hiking on tough and rigid terrain, you would prevent it by using prophylactic knee braces. Or, you already have knee pain, to avoid overuse that would further lead to Chronic knee pain, it’s best you brace your knee using functional braces to minimize stress. Bracing your knee is not something everyone must do. Knee braces are in four categories. They all perform different functions. But they have one common goal, that is, to not interfere with normal knee function and not to increase the risk of injury. Prophylactic Braces: They are designed to protect the knee from damage that can occur during contact sports. Unloader Braces: They are designed for people with arthritis in their knees. Just like the name, they unload stress from the affected joint by placing pressure on the thigh bone. Rehabilitative Braces: They perform the same function as the rest. The only difference is that they are designed for limited movement of the knee until it heals. For us hikers, it’s obvious now that functional braces are our go to. There’s no much technicality here. All you need is to get your hands on a knee brace and you are secure. The best one right now is the Cho-Pat knee braces. Your doctor is the right person to choose the right brace for you. And from what I know, all adult knee supports are one-size-fits-all. You can’t stand to brace your knee. Take a chair, and sit comfortably. Slip your foot into the part where it widens to accommodate your thigh and out through the bottom. The brace should and must rest on your knee. For those braces with a tiny hole at the front, make sure your kneecap is seen through such hole. Always read the instructions that come with the knee support. The number of straps you will see depends on the brace you are using. Tighten the straps, walk for few minutes to check for numbness, Loosen the straps if it’s too tight. There you have it. Knee pain doesn’t mean you should stop hiking. As you have already seen, there are ways around it. This is what you should do now, go to your doctor for a piece of professional advice on what to do about that knee pain, do what he tells you and get it over with. If you have already done so, and he told you to get a brace, just visit a local or an online store to purchase one. Now that we are done, what do you think? What are your concerns? Share with us, and we will give a thoughtful answer. Please, don’t forget to share. Inflammation may be another source of your knee pain. Inflammation is a natural part of your body’s healing process, but it can also be painful. You can naturally fight inflammation by changing your diet.